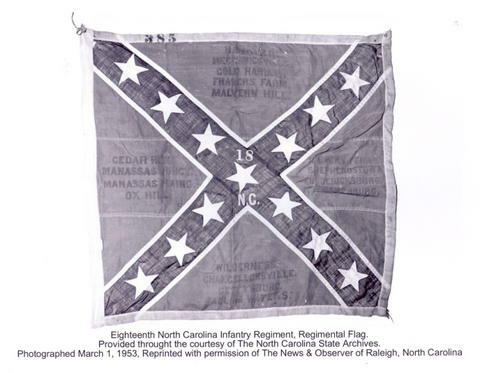 During the American Civil War, the 18th North Carolina suffered its greatest loss at the Battle of Hanover Court House. While in the "thick of the fight" it had suffered over 200 casualties (killed, wounded, and captured). This unit also suffered hundreds of casualties during the battles of Chancellorsville, Fredericksburg, Spotsylvania Court House, and Gettysburg. This book is must have for flag gurus, Civil War buffs and southern partisans. "Each Confederate flag is not just a beautiful picture or photograph...it represents the life of the brave men and women that we typically read about in stale history books."